Mobile Messaging for Schools at Castle View provides instant communication with parents, cutting truancy rates and providing an additional channel for information sharing. Castle View School is a comprehensive school situated on Canvey Island, Essex. Castle View’s reputation is built on consistent achievement in all areas of the curriculum. Focus is on traditional values and developing the skills and knowledge for living and working in the 21st century. 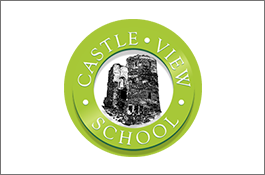 Castle View prides itself on being a friendly school whose doors are always open to parents and visitors. In the UK an estimated 63,000 pupils are missing school each day without permission. Government initiatives to reduce unauthorised absence mean that schools and Local Authorities are being set demanding targets to improve overall attendance rates. This presents quite a challenge for head teachers who have already spent resources on investigating absences which might have been overlooked a few years ago. Castle View decided a combination of strategies would be the best approach – the appointment of a dedicated Attendance Officer working within the school, computerised lesson registration and a simple, reliable communication channel to parents so they could quickly be notified if their child did not arrive at school. They also wanted to incorporate a reliable instant message facility to remind parents of important events or deadlines. Because of its popularity with users, texting parents seemed an obvious choice. Unlike phone calls, parents are able to directly receive a discrete text message wherever they are. Text messaging is also simple to integrate, simple to use and cost effective. ProcessFlows installed a text messaging solution at Castle View, integrating SMS messaging with the exisiting Schools Information System (SIMS) and the Electronic Register. Staff register pupils’ attendance at each lesson, with the first period acting as the statutory morning registration. Parents are immediately notified by text if their child fails to turn up for registration, with a request to contact the school to provide a reason for absence. By running a report, the Attendance Office can monitor general attendance at school and also any trends affecting a particular lesson or subject. Notifying parents by text, thus engaging them in the fight against truancy, has proved to be an excellent deterrent to errant pupils. Making full use of their new, cost effective way of messaging, the school now uses SMS to inform parents of consultation evenings and deadlines such as exam entry, option choices and coursework. This complements traditional paper based communications which don’t always reach the intended recipient.